(Jawi: تنجوڠ ڤينڠ ‎, Chinese: 丹戎槟榔; pinyin: Dān róng bīnláng),is the capital and second largest city of theIndonesian province of Riau Islands after Batam. A city with roughly 200,000 residents, it is a trading port between islands in the Riau archipelago. Tanjung Pinang is located on south of Bintan island and has ferry and speedboat connections toBatam,Singapore (40 km away), and Johor Bahru. Tanjung Pinang has been known for a long time. This is due to its strategic position on the island of Bintan as a center of Malay culture and trade traffic. Tanjung Pinang history is inseparable from the Johor-Riau Malay kingdom. Name of Tanjung Pinang is taken from the position of beach nut tree that juts into the sea.Trees that are in the Cape which is a guide for voyagers who will go to Bintan River.Tanjung PinangRiver is the entrance to Bintan, where there Bentan empire based in Bukit Batu. Tanjungpinang existence is increasingly recognized in the Kingdom of Johor, the Sultan Abdul Jalil Shah Tun Abdul Jamil Laksemana ordered to open a commercial trading port on Bintan island, precisely in the River Carang, Hulu Sungai Riau. The new trading port has become a bustling trading port known as Bandar Riau. Tanjung Pinang is known as a very important buffer zone and the entrance of Bandar Riau. Expertise of the government at that time to make Bandar Riau is a major trading port and even to compete with the port of Malacca that control by the Portuguese and finally fell to the Dutch.In some history, there are some traders who want to trade in Malacca they turn directions to Riau, and even the people of Malacca buy rice and cloth in Riau. This is due to Bandar Riau is a safe area with relatively competitive prices with the dealer Malacca. Aside from being a trading center, Bandar Riau known as Kingdom government center Johor – Riau. Several times government of Johor moved to Riau and vice versa. During the war in 1782-1784 Riau between the Kingdom of the Netherlands. Tanjung Pinang is command by Raja Haji Fisabilillah. The battle between Riau and the Kingdom of the Netherlands culminated in January 6, 1784 with a victory for the destruction of the Dutch command ship “Malaka’s Wal Faren”. And urged the Netherlands to withdraw from the waters of Riau. After several months of the incident, Raja Haji and Malay forces attack Malacca as bases to Straits Dutch Defense. But in the war the forces of Malacca and Riau experienced defeat as the command of Raja Haji Deceased war. Raja Haji known as National Heroes. Under the authority of the bugis, Riau developed into an international trade center. Riau is not only exciting Bugis traders from the ground but also English, Chinese,Dutch, Arabic and Indian. On the other hand, the development of political and military power of Riau raises the doubts Dutch who occupied Malacca at that time. In 1784, a Dutch fleet of 13 vessels by force, 1594 men, besieged and attacked the Riau (now the Tanjung Pinang). On January 6, 1784 the Dutch succeeded in forcibly back to Malacca with the help of Selangor and Melaka encircled. Thereafter on June 1, 1874 a battle fleet of six ships with a magnitude of batavia, 326 guns and 2130 soldiers managed to break the blockade on Malacca. This battle has killed the supreme leader of the Nation Bugis Raja Haji who has managed to gather strength among the Bugis and Malays themselves in an attempt to expel the Dutch occupation of Malacca. Tanjung Pinang also known as the residency of the Netherlands with its first resident David Ruhde. Dutch residency placement is related to the mastery of Riau region that had suffered defeat at the Battle of Malacca. To then build Tanjung Pinang as Dutch military base. The decline of royal Malay increasingly apparent since the1828 Treaty of London which is about power-sharing agreement in the waters of the Strait of Malacca, where the Riau-Lingga under Dutch rule, Johor, Pahang and parts of the peninsula if the British ruled. Through these events precisely what separates the integrity of the kingdom of Riau-Johor-Pahang-Linga, and then the Kingdom is known as the Riau-Linga. And Singapore, which was then under the kingdom of Riau exchanged the Bengkulu change which was then under the British empire. Since the Dutch controlled the Riau Empire and its interference in the Kingdom, making Riau empire in decline, until the peak occurs at the time of dismissal Sultan Riau by the Dutch in 1912.Sultan at that time did not want to sign the dismissal letter and would prefer to move to Singapore. And since that time-Riau Sultanate ended with the abolition of the Linga-Linga from the map Riau Residency Netherlands. And the existence of Tanjung Pinang remains central Dutch residency. The presence of Japan and the Netherlands had replaced Tanjung Pinang at that time made the Japanese Government Center in the Riau Islands. And then back again held by the Dutch. Indonesia’s independence in 1945 put an end to the occupation of the Netherlands on the Riau Islands. In 1950, the Dutch surrender To the Government of the Riau Islands of Indonesia. 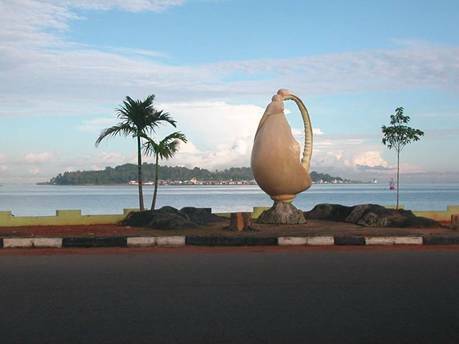 Tanjung Pinang also became the capital of Riau Islands by Act No. 58 1948.Tahun 1957 by Law. 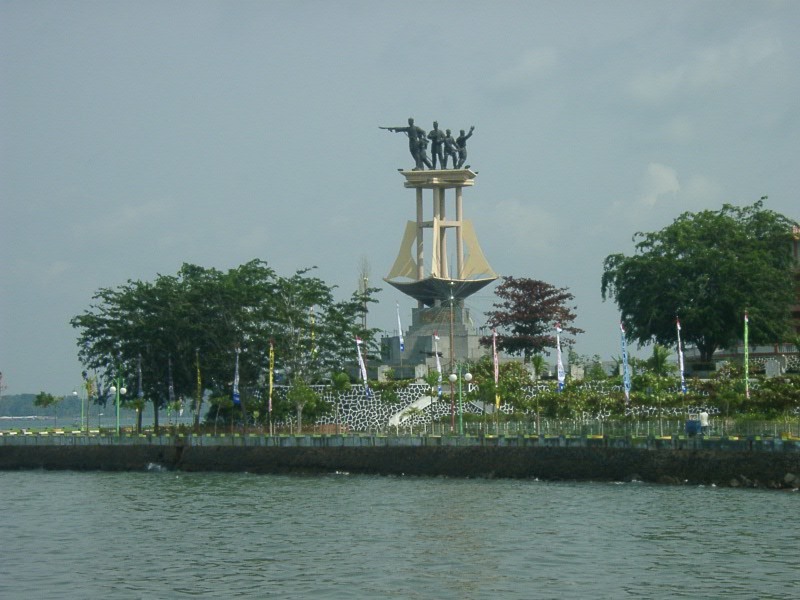 19 of 1957 established Tanjung Pinang Riau province with its capital, but in 1960 the capital was moved to Pekanbaru. Having long been the capital of Riau Islands, then the Government Regulation No. 31 of 1983 dated October 18, 1983 set as the City AdministrativeTanjungpinang. And then based on Law No. 5 year 2001 Tanjung Pinang defined as the Autonomous City. And now Tanjungpinang became the capital of Riau Islands Province. Will tourism be Batam’s next industry? Batam-City provide services range from tourist guide, holiday package, under-name investment, empowerment seminar, fixer and currently partnering with several small and medium business in Batam, Bintan and Karimun to offer you a holistic insight about this market. We serve expatriates who are looking for a place to stay and to invest their well-earned money towards a better life. We wipe out your worries and anxiety on Batam city.